Computational Physics is designed to provide direct experience in the computer modeling of physical systems. Its scope includes the essential numerical techniques needed to "do physics" on a computer. Each of these is developed heuristically in the text, with the aid of simple mathematical illustrations. However, the real value of the book is in the eight Examples and Projects, where the reader is guided in applying these techniques to substantial problems in classical, quantum, or statistical mechanics. These problems have been chosen to enrich the standard physics curriculum at the advanced undergraduate or beginning graduate level. The book will also be useful to physicists, engineers, and chemists interested in computer modeling and numerical techniques. Although the user-friendly and fully documented programs are written in FORTRAN, a casual familiarity with any other high-level language, such as BASIC, PASCAL, or C, is sufficient. 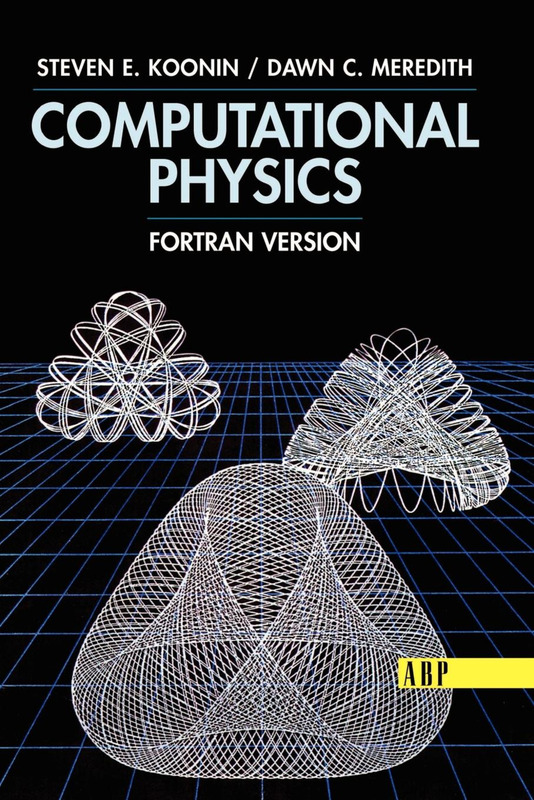 The codes in BASIC and FORTRAN are available on the web at http://www.computationalphysics.info (Please follow the link at the bottom of the page). They are available in zip format, which can be expanded on UNIX, Window, and Mac systems with the proper software. The codes are suitable for use (with minor changes) on any machine with a FORTRAN-77 compatible compiler or BASIC compiler. The FORTRAN graphics codes are available as well. However, as they were originally written to run on the VAX, major modifications must be made to make them run on other machines.